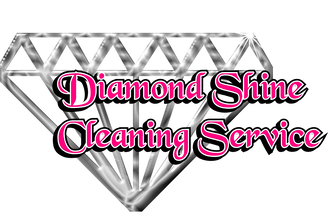 Diamond Shine Cleaning Service has proudly served Lansing, Mi and the Surrounding communities for over a decade. We specialize in Commercial Cleaning for Business like banks, construction companies, office building, restaurants etc. Our Clients always compliment us on our attention to detail and our work ethic. We are the cleaning company, people call when the others just can't get the job right. From floor to ceiling, baseboards to windows you will see a huge difference when you choose Diamond Shine! Receive 10% Off your First Month with Us! Here at Diamond Shine Cleaning Service we offer a host of services to Business local to the Mason Area. From Janitorial Work to Deep Cleaning Services; We can even take over the ordering of perishables like cleaning products and toilet paper. We are the right choice no matter which industry you are in. Diamond Shine regularly cleans for manufacturing operations, sports facilities, schools, etc. Our competition will tell you they offer the same services, and may even try to beat our prices. But time and time again they prove themselves wrong. Our Prices are affordable, we will fit your budget. Diamond Shine Cleaning Service offers Free Estimates and won't make you sign a contract to try us out. We are very confident you will see the value in hiring Mid-Michigan's most Trusted Commercial Cleaning Service. Our Mason Commercial Cleaning Company has won countless contracts from some of those "fly by night" cleaning services. The reason for this is our attention to detail! Some of the other guys think the job is done when the floors are vacuumed and the trash is taken out, but not us. We give each client our best each and every night we work for them. A clean work environment says a lot of positive things about a business. The first benefit is the professionalism it reflects, which is the level clients expect from a reputable business. The cleaning services we provide for businesses goes beyond just a clean work space. We also offer a deep cleansing service and a perishable restocking program. The restocking program allows our Diamond Shine team to do all the ordering for perishable items in the office like toilet paper, paper towels, and hand soap. Diamond Shine Cleaning Service offers post construction cleaning to clients big or small. Whether you are doing large construction projects or small home remodels Our Mason cleaning company pays extra attention to detail during construction clean up, attending to important areas that an amateur cleaning company would miss. We attend to drapes and carpets; to cleaning light fixtures and shelving. Even more so, our Diamond shine cleaning team will deliver streak and residue free mirrors, interior and exterior windows. Cleaning interior and exterior windows leaving a streak free shine and paying extra detail to the window frames and window tracks. Cleaning the exterior and interior of cabinets, cleaning stainless steel, and polishing all wood surfaces such as casings, frames, and bases. Perishable Restocking Program, we take car of all the ordering of needed items like bath tissue and hand soup. Anything Else your business may need, just ask we probably do it! Diamond Shine Commercial Cleaning Service is Mid-Michigan's most trusted name in the professional cleaning Industry!